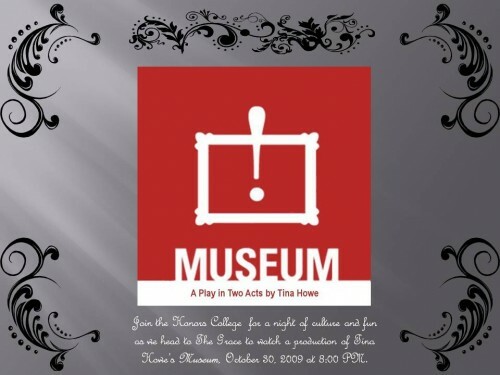 Join the Honors College for a night of culture and fun as we head to The Grace to watch a production of Tina Howe’s Museum, Friday, October 30, 2009 at 8:00 PM. Free tickets available on a limited basis. Contact Kelsey Evans at ext. 2769 or by email at kelsey.evans@acu.edu for more information.